The Great Hokianga Air-grab Plan: Is it virtual reality? 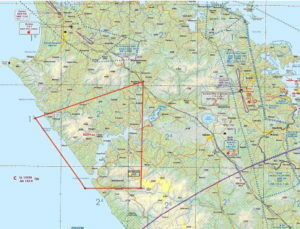 The controversial Incredible Skies proposal to grab a huge area of airspace around Hokianga Harbour for private use (and we assume, profit) is far from dead and buried. It’s merely fallen victim to the sub-glacial routine of CAA procedures. Northland-based Incredible Skies applied for the designation of a restricted area to conduct trials of remotely piloted aircraft systems (RPAS) beyond visual line of sight (BVLOS) flying for development and research purposes. The proposed restricted area would be activated by NOTAM when a trial is to take place, from the surface to 3000 ft AMSL. It’s a big chunk of Northland. In April 2018, the Director invited feedback about the proposed change. Way back then, the CAA said it didn’t plan to hold an airspace consultation meeting unless users specifically asked for one. But then, somewhat inconveniently for the CAA, the users did. A meeting was arranged for Monday 18 March but, according to the CAA, before it could update its website or inform subscribers to the CAA’s email notification service, “a key stakeholder” said it would not be available that evening and requested a postponement. So nobody heard a word. Now the CAA says fixing a new date and location is taking longer than expected, and that a meeting is unlikely until late April/early May – after the cut-off date for the 2019 VNC changes has passed!